FAQs | Building Performance Institute, Inc.
How can I get my candidate ID? The screen will say "Welcome to the BPI Candidate Portal (Account)"
Click on "Forgot BPI ID"
Didn't get the email with your Candidate ID number? Has your email changed? If so, contact BPI with your updated email. If not, check your spam folder. How can I get my candidate password? Once there, the screen will say "Welcome to the BPI Candidate Portal (Account)"
Next to the "Sign In" button select "Forgot Password? To change the generic password, log back into your Candidate Account and click “Change Password” on the left hand menu. How can I use the BPI logo on my website and elsewhere? View the BPI Brand Protection and Logo Use Policies and Procedures document for in depth information on how you can and cannot use the BPI brand and logo. What is the BPI GoldStar Contractor program? The BPI GoldStar Contractor program is a contractor excellence program. It focuses on strengthening contractors’ customer services and optimization of business operations to yield greater profits and increased customer loyalty. The BPI GoldStar Contractor program focuses on developing quality control systems and continuous process improvement of contractors to drive front-end quality. BPI provides discounts on certifications and other incentives to encourage contractors to progress in their home performance skills. What are the benefits to becoming a BPI GoldStar Contractor? The BPI Goldstar Contractor program is $1,200 per year. Contractors requesting or requiring third party QA inspections (for example, if you participate in government, utility or tax credit programs that require QA oversight) will pay additional QA fees on a fee-per-service basis. Contractors requesting additional training consulting services from BPI’s program partners will pay additional consulting fees directly to program partners. How does BPI educate consumers about the value of BPI GoldStar Contractors? BPI manages search engine and display advertising campaigns through Google AdWords. BPI launched a new website devoted to consumers in early 2015, educating the public on the importance of whole house home performance upgrades and the exceptional quality of BPI GoldStar Contractors. Our Google AdWords campaign focuses on BPI GoldStar Contractor brand awareness and drives consumers to the contractor locator tool. Does BPI conduct in-field QA inspections on BPI GoldStar Contractors? If an in-field QA inspection is justified upon further review of, but not limited to, one of the occurrences above, BPI will conduct the inspection at an additional expense to the contractor. Does BPI provide subsidies for training and seminars by industry experts? Yes. BPI will provide partial subsidies to buy down the fees of training for business development, quality management and sales/marketing conducted by industry experts. This may be classroom or web-based, depending on the training. In addition, BPI-hosted webinars are included as a benefit to BPI GoldStar Contractors and take place once or twice a month. What is the Building Science Principles (BSP) Certificate of Knowledge? The Building Science Principles (BSP) Certificate of Knowledge verifies basic knowledge of the building science behind house-as-a-system home performance. Building science demonstrates how various components of a home interact to affect its overall performance. After passing the 100-question online exam with a score of 70% or better, candidates will earn the certificate. How do I access the BSP Reference Guide and how much does it cost? The BSP Reference Guide can be accessed online as often as you like for an unlimited time. The guide may be purchased as an online text through the BSP registration system ($99 each), or you may purchase the printed version ($119, plus shipping and handling). How do I take the BSP exam and how much does it cost? From BPI’s perspective, the BSP exam is considered open book and the guide may be accessed during the exam. Please note that some organizations providing the exam might not allow open book access during the exam; open book access is at the discretion of the organization supplying the exam. The online exam may be taken at any time from a computer connected to the internet. The online exam may be taken at any time. To take the exam, candidates should first register on BPI’s online portal and pay the exam fee. Alternatively, you may prefer to take the exam at a BPI Test Center. Click here to find a BPI Test Center near you. The online exam and online companion Reference Guide are $99 each. The printed version of the Reference Guide is $119, plus shipping and handling. All items are non-refundable. Candidates have up to one (1) year to take the exam after purchasing it online. Each exam attempt is a separate purchase. Once you log in to a computer and start the exam, you should plan for about two (2) hours to complete the exam. The BSP exam should not time out as long as you remain logged in and connected to the internet. When you finish answering the questions, you will close out the exam session and receive your score. Candidates may re-take the BSP exam at any time. BPI recommends studying the Reference Guide in depth before attempting to take the exam again. In addition, candidates may wish to get training from an independent training organization. Candidates who fail the BSP exam and wish to re-take it must pay the $99 exam fee again. How will I receive my BSP certificate? Upon passing the exam, you will be able to print your BSP certificate in PDF format from the BSP Dashboard that is unique to you, as long as you log in from a computer, are connected to the internet, and allow popup blockers. After I pass the BSP exam, am I BPI certified? No, only BPI Certified Professionals may claim to be BPI certified. The Building Science Principles (BSP) certificate is not a BPI professional certification. The certificate is your first step into the world of home performance. Passing the BSP test does not replace the knowledge, skills or abilities of BPI Building Analysts, or other BPI Certified Professionals. 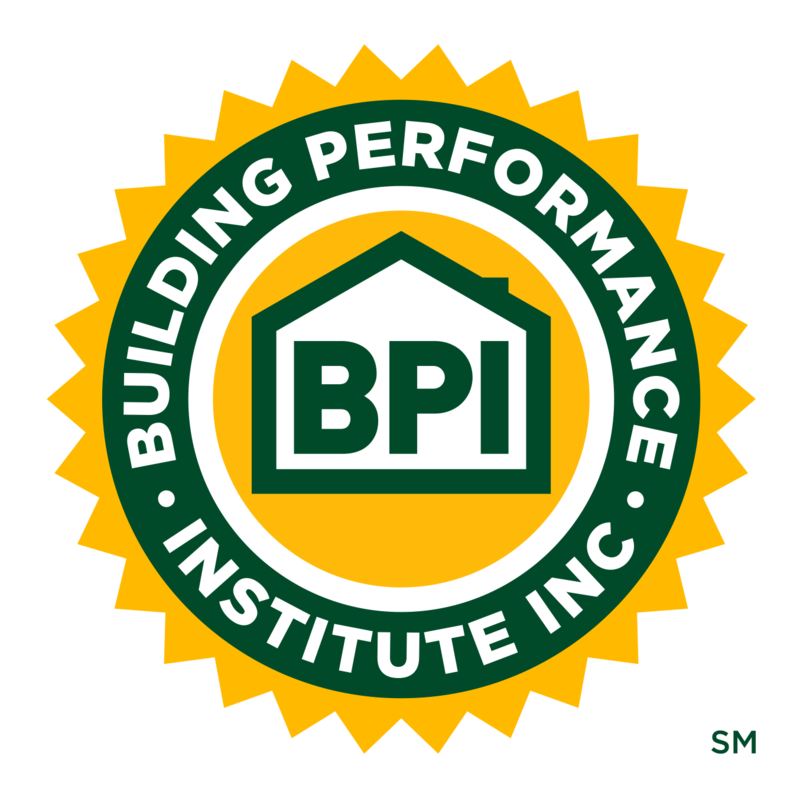 BPI Certified Professionals pass rigorous written and field practical exams, earn Continuing Education Units and re-certify every three (3) years to maintain best practices in building science. To learn more about BPI professional certifications, check out our available certification types. Will the BSP certificate qualify me to assist others with their home performance projects? Who can become a BPI Certified Professional? Anyone over the age of 16 may sit for a BPI exam. Anyone under 18 years of age will need to submit a BPI Parental or Guardian Consent and Waiver of Liability Form prior to sitting for a BPI exam. While no formal experience is necessary to participate in most exams, we strongly recommend that you have some building performance experience and seek training from an independent training organization before taking any BPI certification exams. To achieve certification, candidates must pass the tests associated with the certification, which could include an online and/or field exam. Tests must be administered by a proctor and be taken at a BPI Test Center. How much does it cost to become a BPI Certified Professional? BPI Test Centers set their own prices for exams. BPI’s recommended list price for the HEP exams is $700 for field exams and $250 for online exams, while the recommended list price for all other certifications is $500 for field exams and $250 for online exams. Please contact your local BPI Test Center for more information. What happens if I fail the exam? Can I retake it? BPI is raising the bar in home performance contracting. We want to challenge technicians to learn and use the skills necessary to help homeowners diagnose and solve their home’s problems. The online and field exams are challenging – not everyone passes. Those who are unsuccessful on the exams can schedule to retake them. You will need to wait seven days (168 hours) before retaking your exam. For example, if you took your exam on a Monday, you would not be able to retest until the following Tuesday. You have six (6) attempts to take and pass the online exam and six (6) attempts to take and pass the field exam in a one (1) year period. The year starts at your first attempt followed by five (5) additional attempts. If you have tested six (6) times, you must wait until a year has passed since your first initial attempt. Can I see my exam results online? Yes, you can view your testing history and CEU count, update your personal information and more by logging in to your candidate account. When will my certification packet arrive? Upon completing certification, or recertification, you will receive an official BPI certification package within 30 days. What is BPI’s recertification policy? BPI’s recertification policy recognizes the value of work experience, training and education in maintaining competence in home performance contracting. Under some circumstances, if you have verified work experience, you can eliminate the need to retake the field exam. BPI’s Continuing Education policy places a premium on updating knowledge, skills and abilities with latest industry best practices. Under some circumstances, by earning a certain number of qualifying Continuing Education Units (CEUs), you can waive or reduce online exam requirements when it is time to recertify. For complete information, see the Certification Renewal Policies . How does the recertification policy apply to BPI Proctors? BPI Field Proctors who are certified in any of the Core and Multifamily certifications and remain in good standing during the entire certification cycle are not required to take a field exam. They are required to take only the online exam, while HEP proctors are required to take the field exam toward recertification. To bypass the online exam, BPI Proctors certified in Core and Multifamily certifications need 30 relevant CEUs (or 24 for the HEP certifications with the exception of Retrofit Installer, which requires 30 CEUs). Proctors can find additional information, including the BPI Proctor Certification Renewal Policy document and the Application for BPI Certification Renewal – Proctors, in their proctor account. To waive the field exam requirement for recertification, how can I prove my work experience? Practitioners and trainers must prove a minimum number of hours of relevant technical field experience within the three (3) years during which they were certified related to the certification being renewed. To prove this experience, print a copy of the sample template letter on the application on your company letterhead. Describe your technical field experience and have your supervisor sign this letter. Self-employed individuals should use the sample template letter on the application to prove their work experience. To waive the online exam requirement for recertification, how can I earn Continuing Education Units (CEUs)? Continuing education is an integral aspect of BPI’s certifications. It helps BPI Certified Professionals keep up with a constantly evolving industry. You can receive CEUs at any national or regional conferences, by participating in courses or webinars, and in a variety of other ways (see list below). Check out the current CEU-approved options in the CEU opportunity database. For unapproved courses, individuals must provide BPI with proof of attendance and a course outline. *Not all of these listed CEU types apply toward recertification for Home Energy Professional (HEP) certifications. If my certification has expired, am I still eligible to apply for recertification under the policy? Individuals whose certification has expired are no longer eligible to renew under the policy and must retake the relevant online and field exams for each certification. What is BPI's CEU policy and how do I earn CEUs? Continuing education is an integral aspect of BPI’s certifications and helps BPI Certified Professionals keep up with a constantly evolving industry. You can get CEUs at any national or regional industry conferences, by participating in courses or webinars, and in a variety of other ways. Check out the current CEU-approved options in the CEU opportunity database. You can submit your CEUs through the Candidate CEU Portal, using your login and password. Please review the Continuing Education Unit (CEU) Policies and Procedures document for more information and to determine if an online exam is required for certification renewal. What if a course I have taken is not pre-approved by BPI? Core Certifications: The course must align with BPI’s Standards and Knowledge Lists, which can be found in BPI’s Core Certification Scheme Handbook. Home Energy Professional (HEP) Certifications: The course must align with the knowledge, skills & abilities in the designated Certification Scheme Handbook. Once you have determined that the course aligns with BPI, log into your CEU Account with your existing credentials and self-report the course. How do I self-report CEUs? To self-report CEUs, Certified Professionals will log in to their CEU Account with their existing credentials. Once in their account, they will enter the required course information and attach the proof of attendance. When will CEUs appear in my CEU Account? CEU Providers, whose courses have been pre-approved by BPI, are given 2 weeks to upload CEUs. You can expect a longer processing time for CEUs earned at technical conferences due to the large number of attendees. CEUs that are not BPI pre-approved must be self-reported by the BPI Certified Professional, through the CEU Account. See the “How do I self-report CEUs?” FAQ. Who can become a Continuing Education Unit (CEU) Provider? CEU Providers are existing BPI Test Centers, training providers, or other external organizations (e.g., community colleges, conferences, or universities). BPI CEU Providers offer training opportunities for BPI Certified Profressionals seeking to renew their certifications. CEU Providers help BPI Certified Profressionals maintain the highest level of quality and professionalism and get CEUs to recertify. Please note: Independent organizations provide training, BPI exam preparation, and CEU courses. BPI does not endorse or approve training for BPI exams, CEU course content, or instructors. BPI does not guarantee the quality of these courses or instruction. While BPI may award CEUs for some courses, and other types of education, BPI only reviews them for basic content and length. What are the benefits of becoming a CEU Provider? If the CEU Provider is also a BPI Test Center, the CEU Provider will be able to submit courses for CEU approval at no charge. Free advertising for your classes; classes are listed here where BPI Certified Professionals can easily search for them. The CEU Provider will oversee the entire process from course submission to finish. Thus, CEU Providers are not required to provide BPI Certified Professionals with Certificates of Completion since they are handling the CEU process in its entirety. What curricula should I develop as a CEU Provider? Your courses should support BPI certifications. Please see our Certified Professionals pages for their descriptions and applicable Certification Scheme Handbooks. For the Home Energy Professional (HEP) certifications, BPI-recognized CEUs must conform with the Knowledge, Skills, and Abilities (KSAs) in the designated Certification Scheme Handbook. For all other BPI certifications, BPI-recognized CEUs must align with BPI Testing Knowledge Lists and BPI Standards. How do I become a CEU Provider? If you go to your CEU Provider Account, you can register to become a CEU Provider. You can immediately start to submit courses. Please review BPI’s CEU Provider Policy for detailed information about how to submit and information on how BPI awards credits. What is needed to obtain the Healthy Home Evaluator certification? The Healthy Home Evaluator (HHE) certification builds on other BPI certifications. If my BA, MFBA, EA, or QCI certification lapses, will I need to retest for the Healthy Home Evaluator certification? If your prerequisite certification (BA, MFBA, EA, or QCI) lapses, so will your HHE certification. Once you reactivate your prequiresite certification, your HHE certification will automatically reinstate, as long as your HHE certification date has not expired. The HHE certification is good for three (3) years. Is training required for the HHE certification? Training is not a prerequisite for taking the HHE exam. However, one of the four (4) prerequisite certifications must be achieved prior to taking the exam for the HHE. Is there a data collection form? How do we document and report an evaluation? Several software options are on the market, such as Healthy Housing Solution's Healthy Home Check-Up and HUD's Healthy Home Rating System. There may also be local options. What are the Home Energy Professional (HEP) certifications and what classifies them as advanced? The HEP certifications demonstrate advanced competency through work experience prerequisites and rigorous written and field exams. Prerequisites include documented, industry-specific work experience, education and training. These certifications also meet the global benchmark for quality personnel certifications across all industries – the ISO 17024 standard, as accredited by the American National Standards Institute (ANSI). Do the HEP certifications replace any of BPI’s other certifications? The HEP certifications do not replace BPI’s existing certifications. They are tailored to the specific job tasks of each role: Energy Auditor, Retrofit Installer Technician, Crew Leader, and Quality Control (QCI) Inspector. Each certification has its own significant work experience prerequisites. How is the HEP Energy Auditor certification different from the Building Analyst certification? The Energy Auditor (EA) certification is the next step up on the career ladder from Building Analyst (BA). The BA certification verifies that the worker has a foundation in diagnostic and analytical building science needed for a variety of career paths in the home performance industry, while the EA certification is specifically tailored to the job task of energy auditing. The EA verifies the diagnostic and analytical skills needed to perform an energy audit, and then goes further. Among other things, the EA also verifies, through prerequisites, that the worker has software modeling skills, previous work history in doing energy audits, and can develop a scope of work to implement home performance measures in homes. Bonus: Obtaining the Energy Auditor certification also automatically earns you the Building Analyst certification. What is the difference between the HEP Retrofit Installer Technician certification and the Air Leakage Control Installer? The Air Leakage Control Installer certification was developed to evaluate a candidate’s fundamental level of skill in the installation of appropriate materials only used to reduce air leakage in a typical home. The advanced Retrofit Installer Technician certification is geared toward experienced technicians who have been in the field and can demonstrate a wider range of skills, such as the installation of doors and windows as well as insulation and air sealing materials. What is the cost of the HEP exams? BPI’s list price for the HEP exams is $700 for field exams and $250 for written exams; however, Test Centers set their own pricing and schedules for certification exams. Please contact your local test center for more information. What are the prerequisites for HEP certifications? Prerequisites differ for each of the four (4) HEP certifications, but will generally include education, work experience, training, industry certifications and more. All prerequisites must be submitted with the HEP application to HEPcertification@bpi.org at least two weeks prior to taking the certification exam and, once approved, BPI will send approval letter to candidate to provide to the BPI Test Center. How can certification candidates prove their work experience to meet the prerequisite requirements? BPI accepts a signed certificate or a signed letter, on company letterhead, from current and/or past employers documenting work experience. For the applicant’s convenience, a standard template letter is included with all four (4) certification applications. Simply print the template on company letterhead, fill out the requested information and have it signed by a supervisor. Number of jobs completed over the last year, including customer contact information and a brief description of each job (e.g. energy audit, air sealing, insulation). BPI will randomly contact customers to verify information given. For those documenting energy audits completed, include documentation showing us PO of blower door and pictures of equipment, along with some completed examples of the reports issued to the customer for the energy audit. What are the requirements for BPI Test Centers to administer the HEP exams? BPI Test Centers that have approved HEP written and field proctors either on staff, or contracted, can administer HEP exams. These Test Centers must have the Energy Auditor minimum lab or home requirements available. Retrofit Installer Technician and Crew Leader prop submissions must be pre-approved. Please see Section 7 of the BPI Test Center Policies and Procedures for further details on test site requirements for each designation. What qualifications are necessary to proctor the HEP field exams? All proctors must earn the HEP certification to proctor the applicable HEP exam. Proctors that have not previously proctored HEP field exams must also attend a mandatory orientation webinar to get approved to conduct HEP field exams. What are the test site and prop requirements to administer the HEP field exams? BPI Test Centers and/or Proctors must provide labeled photos or video of the system criteria or prop criteria outlined for each designation to ensure that the minimum guidelines for each are met. If the photos show that the criteria have been met, a notice of approval and site approval ID number will be sent to the BPI Test Center to be used on all testing forms. Prop plans and minimum system criteria are available to any BPI approved Test Center and/or Proctor that would like to administer the field exams through the test center and proctor account. Please send any prop or lab photos and any questions to testcenter@bpi.org. Photos and video must be submitted a minimum of two weeks in advance for review, comments and approval prior to administration of any HEP field exam. Online exams may be administered by any BPI approved online proctor and do not need prior site approval. What is the BPI Rater program? The BPI Rater Program qualifies Home Energy Score assessors to perform a visual assessment that educates homeowners about their home’s energy efficiency. Assessors then provide cost-effective recommendations to reduce the amount of energy that homeowners waste on inefficiencies. Developed by the U.S. Department of Energy (DOE), the Home Energy Score provides a standardized method for quickly assessing a home’s building envelope and major energy systems. This score, on a scale of 1-10, allows comparisons between homes regardless of location in the U.S. In addition to providing a score, assessors also provide a prioritized and customized list of energy improvements, and their estimated cost savings, for the customer’s home. What is BPI's role in administering the Home Energy Score? BPI was DOE’s first national Home Energy Score Partner. Local and state governments, utilities, non-profits and other home performance industry organizations can become Home Energy Score Partners. If a local partner is not available in your area, you can partner with BPI anywhere in the nation. What does a homeowner get and what does it cost for them to get a Home Energy Score report? The fee schedule for the Home Energy Score Assessment is determined by the Rater Company. Who can provide a Home Energy Score? Qualified Assessors working under a partner, either local or a national partner, like BPI, can conduct home assessments and produce the Home Energy Score for homeowners. What do I need to become a Qualified Assessor and to provide the Home Energy Score? Please see the BPI Rater page for the full list of steps. How much does the Home Energy Score exam cost? There is no fee for the training and testing. However, there is an annual fee to become a BPI Rater Company. Please see Appendix B (on page 18) of the BPI Rating Program Policies and Procedures. Once I become a BPI Rater, how will homeowners find me? Homeowners may use BPI’s Contractor Locator Tool to find BPI Raters and BPI Certified Professionals. When you join BPI’s Rater Program, your information is automatically added to the locator tool. What are the BPI standards? BPI is an American National Standards Institute (ANSI) accredited national standards development organization for the energy efficiency and weatherization industry. BPI develops certifications based on upholding these standards and creating consistency throughout the workforce. BPI currently provides standards on home energy auditing, standard practice for the basic analysis of buildings and more. View all approved technical standards here. View all standards under review and open to public comment here. Why isn’t there a standard on…? BPI welcomes the opportunity to meet the standards needs of the building performance industry, especially as they relate to supporting new technologies and installation services. If you have a suggestion, please email it to us at standards@bpi.org. How do I join a BPI Standards Technical Committee or working group? Each year in the fall, BPI issues a call for interested individuals to apply to join the Standards Technical Committees (STCs). BPI considers these applications and BPI appoints new members, to ensure a balanced representation of technical experts. Keep an eye out for these calls for applications on www.bpi.org. Individuals with time availability and a technical interest are invited to join one of the working groups, which are responsible for drafting standards and bulletins. Working groups collaborate via conference call and e-mail. These groups forward their work to the STC for appropriate action (some working group members are also STC members). Working group participants actively engage on regular conference calls and provide edits to draft standards or bulletins. If you are interested in joining a working group, please contact standards@bpi.org. Do I need to be a member of a BPI Standards Technical Committee or working group to attend working group meetings? When appropriate and with approval of the MOS, the working group may ask an individual who is not a member to join a meeting to provide clarification or additional information to the committee on a particular agenda item. This will be indicated on the meeting agenda.